CD is organising Italian language SU this summer! The CD developed the idea for the CD SU during the EPM in Yerevan. Many reasons led the Comité Directeur to this decision. “We want to revive the tradition of Italian language course SUs”, says Terry Kiambu. 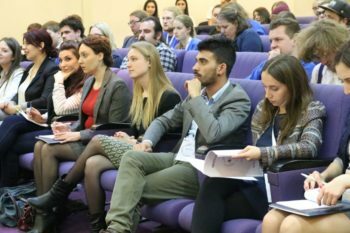 AEGEE-Europe’s Financial Director had been President of AEGEE-Udine before – an antenna, which is known for Summer Universities of great quality. “AEGEE wants to make SUs more thematic again. 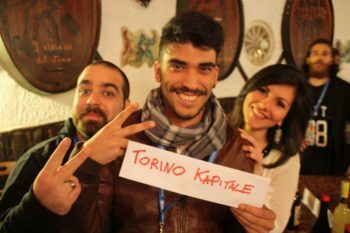 This is our little contribution”, adds Network Director Marco Daniele, a former President of AEGEE-Torino. Terry’s antenna AEGEE-Udine is famous for their SUs. Marco Daniele will be happy to show you Torino, the real capital of Italy. The new interim CD members will be there too! The fact that the interim CD members don’t speak Italian, is not a big concern. 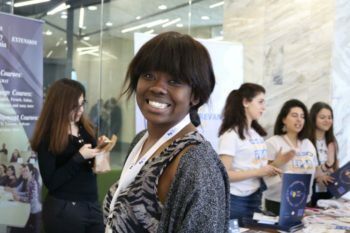 “We asked Julia and Ksenia, and they were totally onboard with this idea!”, recalls AEGEE-Europe’s Vice President Maria Ballesteros, whose level C1 Italian skills have further improved in the past year. Julia de Lange is an expert in conflict studies and will give some workshops on intercultural communication; while PR expert Ksenia Lupanova will give a few PR and photography classes. Loes: “Everyone will benefit so much from this event.” Moreover, also the social programme will be spectacular. 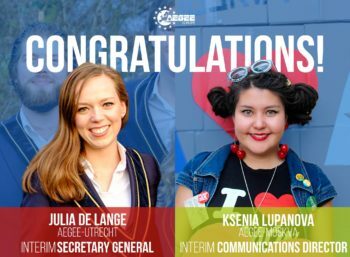 “We need some great parties after this tough year”, adds the AEGEE-Europe President. Bergamo would be a great place for a new AEGEE headoffice.